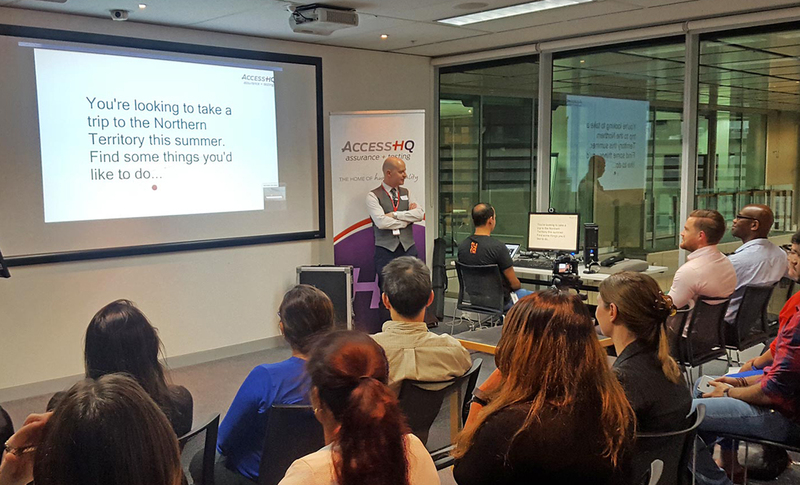 Last month we collaborated with Sydney Testers Meetup to talk Everything Eye Tracking to the testing community. 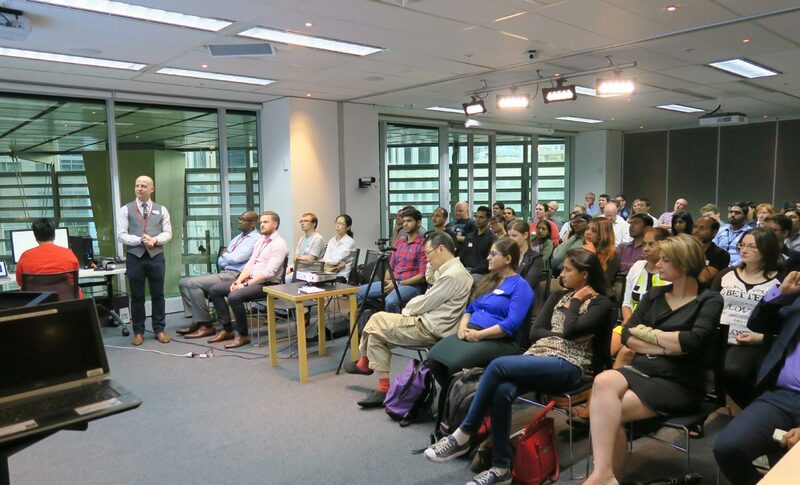 The meetup was held at IAG where over 70 testers attended the event from all over Sydney. AccessHQ pioneered Eye Tracking in Australia in 2001 and can eye track both web and mobile apps in our test labs or any other location. Through Eye Tracking, we can find out first-hand how real customers interact with an organisation's communication channels; this includes websites, mobile apps, advertisement posters, etc. Eye Tracking is an innovative approach to perform usability testing on websites and apps on desktops, laptops and mobile devices. Greg Barnett, General Manager - Customer Insights (pictured right) presented at the event. 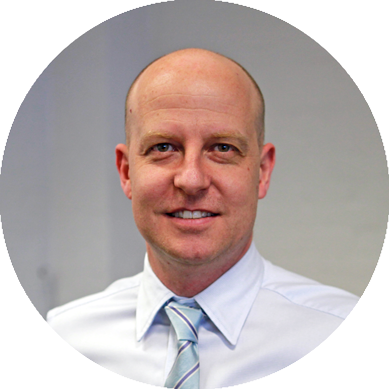 He is a passionate customer advocate and has devoted his career to researching and improving the customer experience. 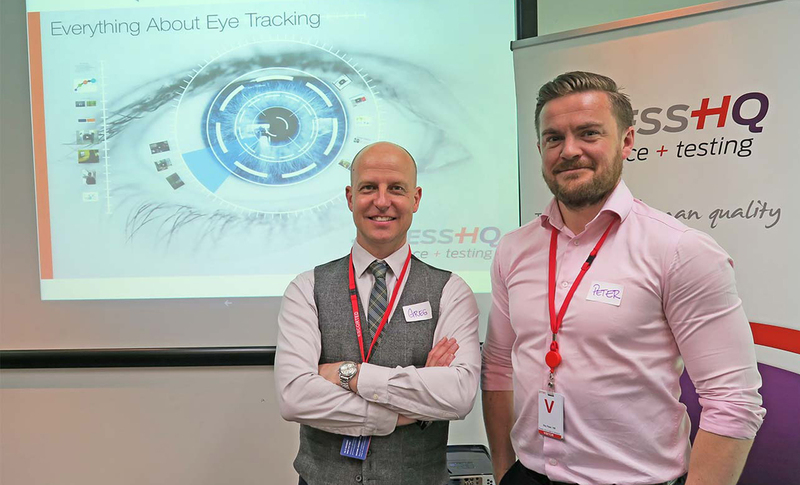 At the end of the presentation, the audience were invited to participate in a live demo where we were able to see their eye movements LIVE while navigating through a website to complete a particular task. We would like to thank Sydney Testers for organising the event and IAG for providing the venue. Congratulations to the Business Card draw and Survey winners! It was a pleasure meeting everyone from the testing community at the meetup, and we can’t wait to see you all again. Keep an eye out for details of our next meetup in the new year. Registrations will be posted on our website. For more Eye Tracking, check out this video to see how we conducted the world's largest in-field Eye Tracking study jointly with Eye Corp.